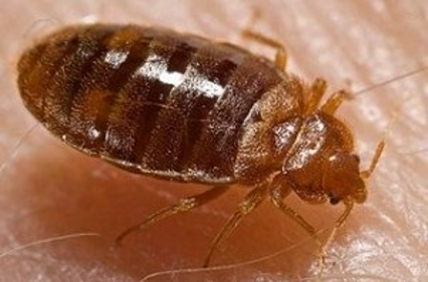 Bed bugs infestations have become an increasing problem in recent years. Regal Pest Control provides comprehensive bed bug services for both commercial and residential customers. We service bed bug issues in residential homes, condos and high-rise apartment buildings. 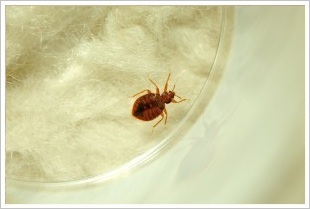 We also offer bed bug service options for commercial establishments. We can put together a service and inspection program that fits your schedule. We offer details on-site inspections and can put together a service plan to address the bed bug problem at your home or business. Our technicians have the experience and expertise needed to address any questions or concerns you may have. Bed bug services should always start with a thorough inspection throughout the entire home or business. The main areas where bed bug activity will be present are likely to be the bed, box spring, headboard and any sofas and seating surfaces in the house. However, we often find bed bugs in spare bedrooms and other areas in the house when we’re conducting our inspections and services. Since an adult bed bug can live up to 13 months without feeding, it is critical to have the entire house treated even for minor infestations. Adult bed bugs are about 1/4” or about the size of an apple seed. Adult bed bugs are flat, oval-shaped and have a reddish-brown color. Newly hatched nymphs are nearly colorless. Nymphs closely resemble adults but are smaller. Bed bug eggs are white and are about 1/32” long. Bed bugs may give off a sweet, yet unpleasant smell. Bed bugs have six life stages (five immature, one adult). Females can lay 1-12 eggs per day or 200-500 eggs in a lifetime. Bed bug eggs hatch in 6 to 17 days and nymphs can start to feed right away. The life cycle (from egg to adult) takes anywhere from five weeks to four months, depending on temperature and availability of food (blood). When temperatures are 70 to 82 degrees, their life cycle development occurs most rapidly. Bed bugs are nocturnal and feed exclusively on blood. If seen during the day, it may mean that there is a heavier level of infestation. Bed bugs can live for a year without feeding, however they typically try to feed every five to ten days. BITE MARKS ARE NOT A GOOD INDICATION OF BED BUG ACTIVITY. The first signs of bed bug activity are often the appearance of small rusty spots on mattresses, pillow cases and on bed linens. Eggs and eggshells, which are tiny (about 1 mm) and white. Bite marks are not a good indication of bed bug activity. Reactions to bed bug bites vary among people and some people have no reactions to their bites at all. Bed bug bite marks can look similar to other insect bites or the marks can be the skin’s reaction to an unrelated source. For these reasons, bite marks are typically not a good indication of bed bug activity. Look for small black our dark grey spots on the seams of the mattress. These spots are usually bed bug excrement and often they will be absorbed into the fabric. Check the seams, tufts or folds of mattresses, bed frames and headboards. Bed bugs can also be behind baseboards, pictures, frames, windows, door casings, loosened wallpaper, curtains and behind electrical wall plates. Thoroughly check furniture, not only on top but underneath furniture as well.